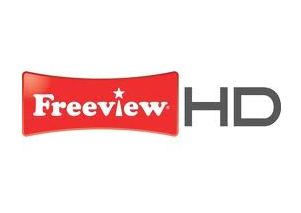 Extra channels become available in parts of Kent, Herefordshire and northern Gloucestershire on the 8th April 2014, as the seventh national Freeview multiplex goes live from transmitters at Bluebell Hill near Maidstone and Ridge Hill, south west of Ledbury. The multiplex - known as "COM7" will only be available to viewers with a Freeview HD certified device. Extra HD channels include BBC Four HD (channel 106), BBC News HD (107), CBeebies HD (74) and Al Jazeera English HD (108). Two standard definition channels - price-drop and Al Jazeera Arabic will become available on Freeview channels 37 and 84 respectively. Viewers with Freeview HD devices will in most cases need to retune to get the extra channels. Alternatively, though manual tuning, viewers with Freeview HD devices can add the extra channels by entering a UHF channel number in the manual tuning menu. In both areas, COM7 broadcasts on UHF channel 32. Advice website www.tvretune.co.uk from Digital UK has more information on retuning Freeview equipment, but normal (non-Freeview HD) equipment will not be able to decode the new multiplex. COM7 is being rolled out to cover around 70% of UK households by June 2014. At a number of transmitters, including Bluebell Hill and Ridge Hill, COM7 is being broadcast at a higher effective radiated power level than was previously announced in November 2013. Updated details for Freeview HD transmitters can be found here.